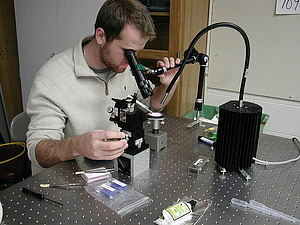 Home » Physics » The Physics Major and Minor » Why Study Physics? Are you curious about how things work? Do you wonder about the world and why things happen the way they do? Then consider studying physics. Physicists are intensely curious and ask questions that often go unasked. Some might be content with knowing that ice freezes at 0 degrees Celsius, and is less dense than water (which is a fact that turns out to be very important for life on Earth) Physicists go further and seek to know why this is, and design experiments to get to the bottom of the reason why. For some, the knowledge that the nucleus is composed of neutrons and protons is sufficient, but curious physicists weren’t satisfied with this knowledge alone, and asked how positively charged objects could be packed together so closely - ultimately going on to discover a new force of nature: the strong interaction. Physicists are constantly pushing the boundaries of our knowledge because they want to answer the question “Why?”. Studying physics equips you to ask questions like these and also gives you the tools to answer questions and solve complex problems. 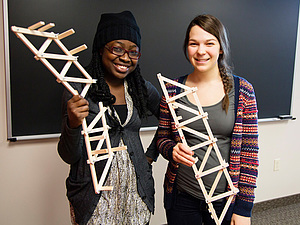 Studying physics can also serve as the foundation for exploration of a wide variety of options beyond the undergraduate degree, including graduate study in physics, mathematics, computer science, and many fields of engineering. Studying physics at Luther opens doors to your future through a solid base of coursework and in-depth research experiences with faculty who are active scholars working at the forefront of a number of fields of physics. You’ll also become an integral part of an engaging community which seeks answers to interesting questions. 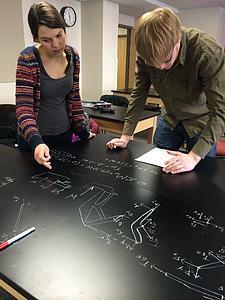 The Luther Physics department faculty do an incredible job of teaching to every student’s ability while still keeping them fascinated and motivated with the subject. They truly care about our education and it shows inside the classroom and beyond. A major in physics at Luther prepares you for a variety of careers. Our department’s alumni have earned graduate degrees in engineering and physics, have obtained positions as middle and high school teachers, and have gone directly into the workplace in other technical fields. Those who have pursued graduate degrees in physics have gone on to interesting and rewarding careers studying quarks, atomic collisions, stars, black holes, the physics of the human body, and other phenomena at the frontiers of scientific knowledge. Our rigorous courses prepare you to solve challenging problems in many different fields. 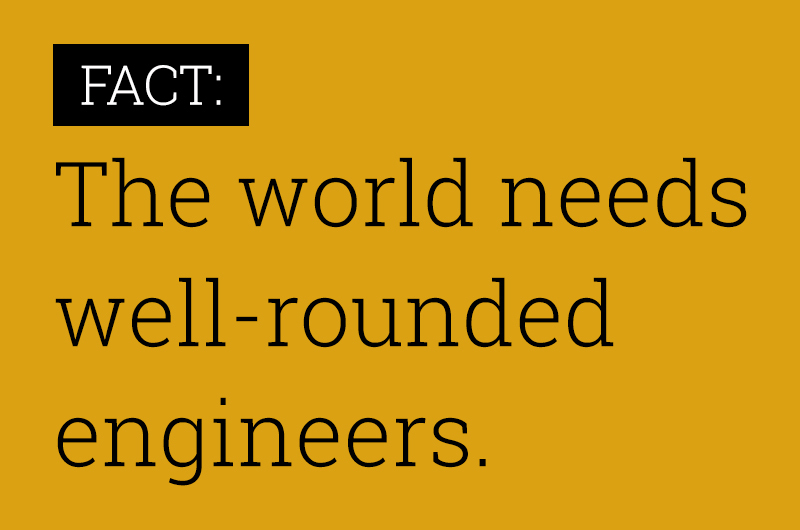 Many of our students go on to successful careers in engineering, since a liberal arts education at Luther helps you become a well-rounded engineer. You have the flexibility to take pre-engineering courses which equip you thoroughly for further pursuits in engineering, and graduate in four years. Our physics majors have been quite successful in earning competitive national and international scholarships, with several of our students earning Rossing and Goldwater scholarships, and one graduate earning a prestigious Rhodes scholarship. 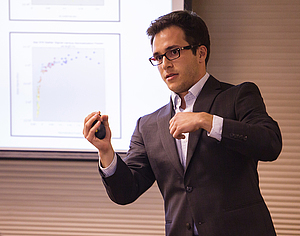 At Luther College, we believe research is an essential part of our work with students. 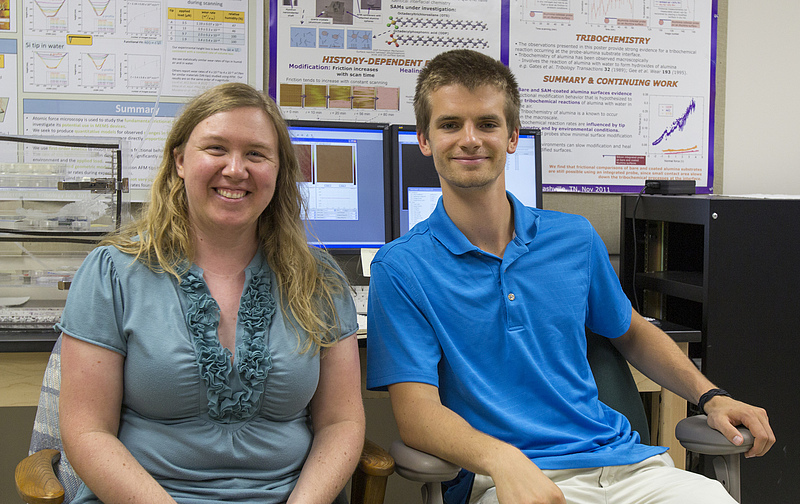 As a Luther physics major, you'll have the opportunity to participate in a diverse range of collaborative research projects with physics faculty during the school year and summer - and can get involved in research as soon as your freshman year. Our faculty are eager to invite students alongside them to pursue studies from atomic and high energy particle physics to studies of friction and astrophysical phenomena. In addition to projects in the areas of particle expertise of our faculty, our students also have the chance pursue areas of interest of their own. If you major in physics at Luther, you’ll become part of a close-knit community of people asking really interesting questions about the world. From your first Luther physics class through all four years of study in the department, you’ll be engaged with peers and faculty in a highly interactive environment, seeking answers to compelling questions about the physical world. Our classroom structure fosters a conversational and thoughtful approach to learning physics - our laboratories help you to learn to ask questions about what you are doing, and to bounce ideas off other students as you seek answers and solve problems. 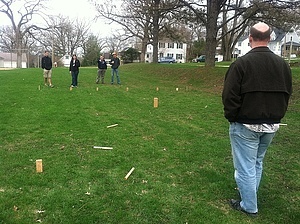 One of the distinctive elements of our department culture is the way we build community through weekly “Tea Time” and Physics picnics each semester. Through common experiences together, you’ll get to know your faculty and fellow students well, which can help you develop the network of resources you need to be successful in college and after college. The Luther Physics department has become somewhat of a second home to me. Everyday I come in and get to work with some of my best friends towards a common goal, talk to inspiring and energetic professors, and learn about the things I'm passionate for. Who knew that physics could be so fun! 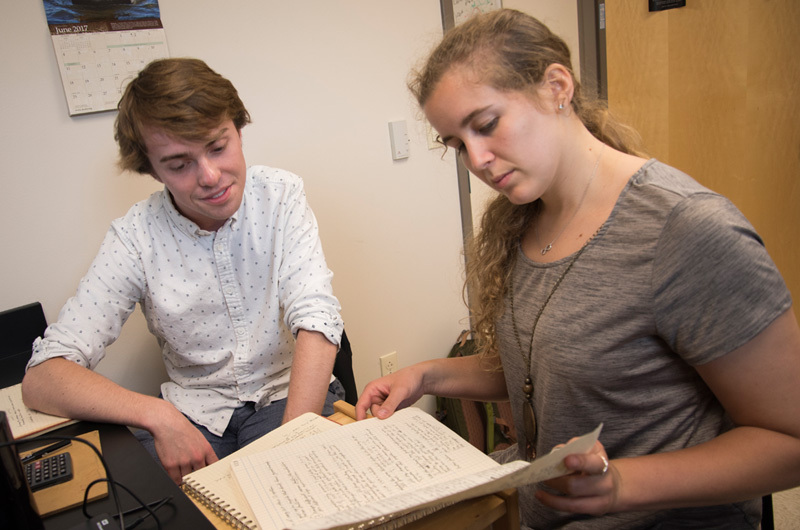 Madilyn Heinke '18 discusses summer research with a fellow student. "The idea that most fascinates me with my research is that there are so many things that have not been discovered or proven. This summer I get to be a part of searching for answers to questions that are far beyond any one generation of people," said Madilyn Heinke '19. 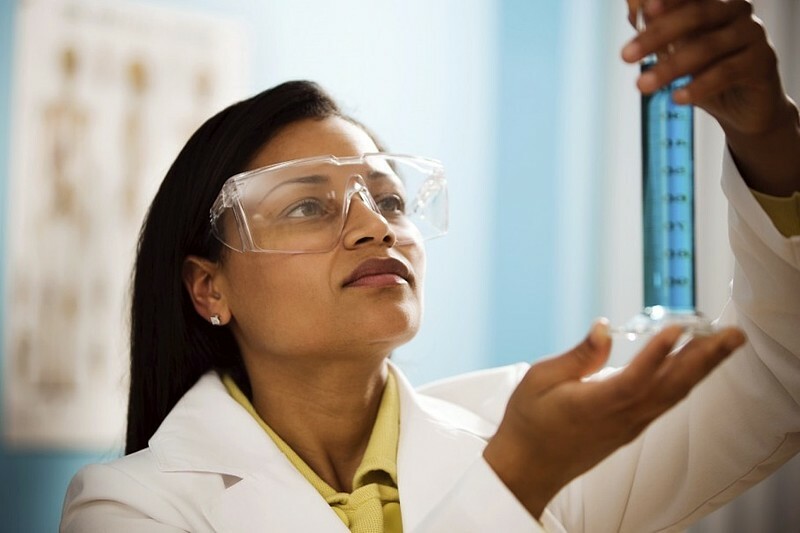 "By all means, let’s grow our STEM graduates as aggressively as possible. But let’s make sure they also have that all-important grounding in the liberal arts." Physics maintained by Todd Pedlar. Page last updated on 6 November 2017.